Abdülmecid I (Ottoman Turkish : عبد المجيد اول‎Abdülmecîd-i evvel; 23/25 April 1823 –25 June 1861) or Tanzimatçı Sultan Abdülmecid (Sultan Abdülmecid the Reorganizer) due to the Tanzimat reforms he conducted, he is also known as Abdulmejid and similar spellings, was the 31st Sultan of the Ottoman Empire and succeeded his father Mahmud II on 2 July 1839. His reign was notable for the rise of nationalist movements within the empire's territories. Abdulmejid wanted to encourage Ottomanism among the secessionist subject nations and stop the rise of nationalist movements within the empire, but failed to succeed despite trying to integrate non-Muslims and non-Turks more thoroughly into Ottoman society with new laws and reforms. He tried to forge alliances with the major powers of Western Europe, namely the United Kingdom and France, who fought alongside the Ottoman Empire in the Crimean War against Russia. In the following Congress of Paris on 30 March 1856, the Ottoman Empire was officially included among the European family of nations. 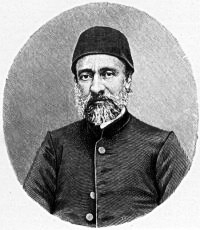 Abdulmejid's biggest achievement was the announcement and application of the Tanzimat (reorganization) reforms which were prepared by his father and effectively started the modernization of the Ottoman Empire in 1839. 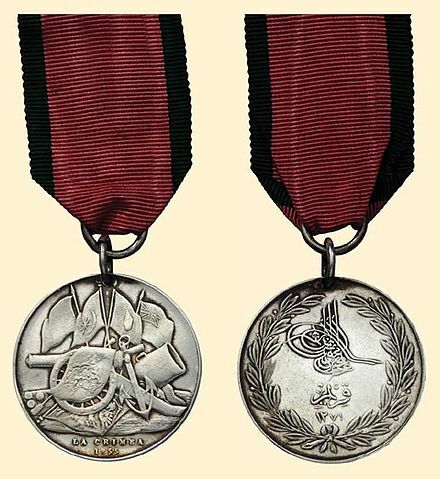 For this achievement, one of the Imperial anthems of the Ottoman Empire, the March of Abdulmejid, was named after him. Beşiktaş is a district and municipality of Istanbul, Turkey, located on the European shore of the Bosphorus strait. It is bordered on the north by Sarıyer and Şişli, on the west by Kağıthane and Şişli, on the south by Beyoğlu, and on the east by the Bosphorus. Directly across the Bosphorus is the district of Üsküdar. Abdulmejid received a European education and spoke fluent French, the first sultan to do so. Like Abdülaziz who succeeded him, he was interested in literature and classical music. Like his father Mahmud II, he was an advocate of reforms and was lucky enough to have the support of progressive viziers such as Mustafa Reşit Pasha, Mehmet Emin Ali Paşa and Fuad Pasha. Throughout his reign he had to struggle against conservatives who opposed his reforms. Abdulmejid was also the first sultan to directly listen to the public's complaints on special reception days, which were usually held every Friday without any middlemen. Abdulmejid toured the empire's territories to see in person how the Tanzimat reforms were being applied. He travelled to İzmit, Mudanya, Bursa, Gallipoli, Çanakkale, Lemnos, Lesbos and Chios in 1844 and toured the Balkan provinces in 1846. Abdülaziz was the 32nd Sultan of the Ottoman Empire and reigned between 25 June 1861 and 30 May 1876. He was the son of Sultan Mahmud II and succeeded his brother Abdulmejid I in 1861. 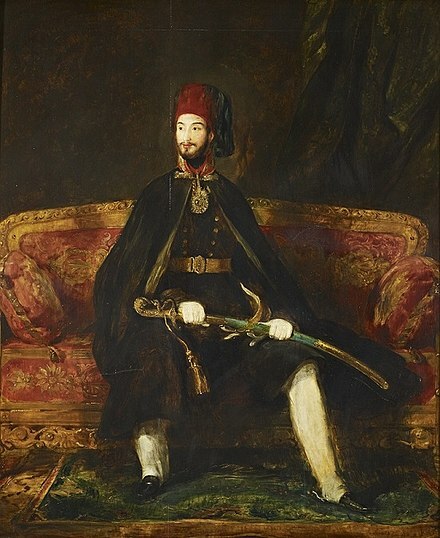 Mahmud II was the 30th Sultan of the Ottoman Empire from 1808 until his death in 1839. The Battle of Nezib or Battle of Nisib or Battle of Nizib was fought on 24 June 1839 between Egypt and the Ottoman Empire. The Egyptians were led by Ibrahim Pasha, while the Ottomans were led by Hafiz Osman Pasha, with Helmuth von Moltke the Elder playing an advisory role, in command of the Ottoman artillery. 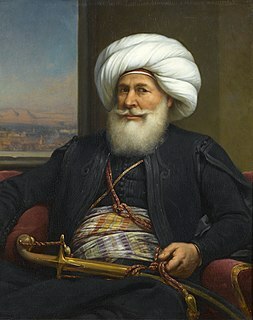 Muhammad Ali Pasha al-Mas'ud ibn Agha was an Ottoman Albanian commander who rose to the rank of Pasha, and became Wāli, and self-declared Khedive of Egypt and Sudan with the Ottomans' temporary approval. Though not a modern nationalist, he is regarded as the founder of modern Egypt because of the dramatic reforms in the military, economic and cultural spheres that he instituted. He also ruled Levantine territories outside Egypt. The dynasty that he established would rule Lower Egypt, Upper Egypt and Sudan until the 1952 coup d'état led by Muhammad Naguib and Gamal Abdel Nasser. The Gülhane Hatt-ı Şerif(Supreme Edict of the Rosehouse) or Tanzimât Fermânı(Imperial Edict of Reorganization) was a proclamation by Ottoman Sultan Abdülmecid I in 1839 that launched the Tanzimât period of reforms and reorganization in the Ottoman Empire. The 125th anniversary of the edict was depicted on a former Turkish postcard stamp. The Imperial Reform Edict was a February 18, 1856 edict of the Ottoman government and part of the Tanzimat reforms. The decree from Ottoman Sultan Abdulmejid I promised equality in education, government appointments, and administration of justice to all regardless of creed. The decree is often seen as a result of the influence of France and Britain, which assisted the Ottoman Empire against the Russians during the Crimean War (1853–1856) and the Treaty of Paris (1856) which ended the war. 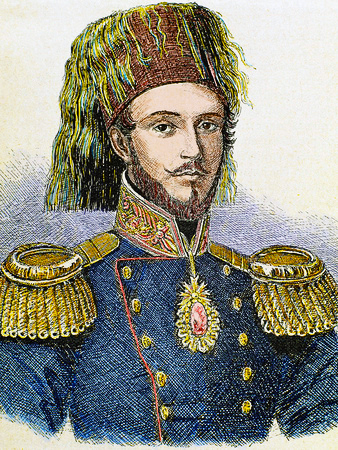 Behiye Sultan (22 February 1841 –3 June 1847). 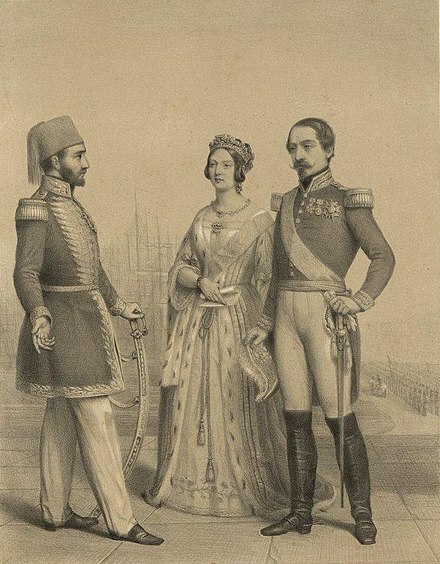 Circassian (of the Ubykh tribe) Rahime Perestu Valide Sultan (née Rahime Gogen, c. 1829, Sochi, Russia – Maçka Palace, Istanbul), married in Istanbul, Topkapı Palace, in 1844, daughter of Gök Bey Gogen, without issue. Adoptive mother and Valide Sultan to Abdul Hamid II. Murad V (21 September 1840 – 29 August 1904) was the 33rd Sultan of the Ottoman Empire who reigned from 30 May to 31 August 1876. Ahmed Nihad, 38th Head of the Imperial House of Osman from 1944 to 1954, was the 38th and second post-imperial head of the Imperial House of Osman. Anchabadze, also known as Achba, is an Abkhaz-Georgian family, and the oldest surviving noble house originating in Abkhazia. Gülüstü Hanım ; was the nineteenth wife of Sultan Abdulmejid I. She was the mother of Mehmed VI, the last Sultan of the Ottoman Empire. Şevkefza Kadın was the fourth wife of Sultan Abdulmejid I of the Ottoman Empire. She held the position of Valide Sultan from 30 May 1876 to 31 August 1876, when her son Şehzade Murad ascended the throne as Murad V.
Tirimüjgan Kadın was the second wife of Sultan Abdulmejid I, and the mother of Sultan Abdul Hamid II of the Ottoman Empire. Gülcemal Kadın was the sixth wife of Sultan Abdulmejid I, and the mother of Sultan Mehmed V of the Ottoman Empire. Şehzade Mehmed Selaheddin was the only son of Sultan Mehmed Murad V, 33rd Sovereign of the House of Osman, and his second wife Reftarıdil Kadın. He educated privately and became 3rd Velihad from 13 August 1909 and Major-General of the Imperial Ottoman Army. He received the Collar of the Hanedan-ı-Ali-Osman and the Nişan-ı-Ali-Imtiyaz. Düzdidil Kadın was the third wife of Sultan Abdulmejid I of the Ottoman Empire. Servetseza Kadın, meaning "Worthy of riches", was the first wife and chief consort of Sultan Abdulmejid I of the Ottoman Empire. Mahitab Kadın was the tenth wife of Sultan Abdulmejid I of the Ottoman Empire. Bedrifelek Kadın was the second wife and chief consort of Sultan Abdul Hamid II of the Ottoman Empire. Verdicenan Kadın was the wife of Sultan Abdulmejid I of the Ottoman Empire. Nükhetseza Hanım was a consort of Sultan Abdulmejid I of the Ottoman Empire. Şehzade Mehmed Selim was an Ottoman prince, the son of Sultan Abdul Hamid II and his wife Bedrifelek Kadın. Ceylanyar Hanım was the fifteenth wife of Sultan Abdulmejid I of the Ottoman Empire. Nergizev Hanım was the twelfth wife of Sultan Abdulmejid I of the Ottoman Empire. Nalandil Hanım was the fourteenth wife of Sultan Abdulmejid I of the Ottoman Empire. Nesrin Hanım was the eleventh wife of Sultan Abdulmejid I of the Ottoman Empire. 1 2 3 4 5 6 7 8 9 10 11 12 Hoiberg, Dale H., ed. (2010). "Abdulmecid I". Encyclopædia Britannica. I: A-ak Bayes (15th ed.). Chicago, IL: Encyclopædia Britannica Inc. p. 22. ISBN 978-1-59339-837-8. ↑ There are sources that state his birth date as the 23rd of April. 1 2 3 4 One or more of the preceding sentences incorporates text from a publication now in the public domain : Chisholm, Hugh, ed. (1911). "Abd-ul-Mejid" . Encyclopædia Britannica . 1 (11th ed.). Cambridge University Press. pp. 36–37. "Abdul-Medjid" . Collier's New Encyclopedia . 1921.